Xrns2XMod is a tool that convert a Renoise file (.XRNS) to MOD or XM format in a simple click. Be aware that this tool is just an interface, therefore you have to download the core program here. Installation: Drop the Tool File (.xrnx) on a Renoise window to install. Liability exclusion: "You are about to download and install software from a third-party provider. This software was not developed by Renoise and is listed here in a summarised form purely as a convenience for our users. Renoise takes no responsibility for any malfunction, incompatibility, or damage caused by or otherwise arising from the use of the software. In the case of problems with the installation or use of the software, please contact the relevant developer." Haftungsausschluss: "Sie sind dabei, eine Anwendung (Software) von einem Drittanbieter herunterzuladen oder zu installieren. Diese Software stammt nicht von Renoise und wird hier lediglich als Service für den Benutzer zusammenfassend übersichtlich dargestellt. Renoise haftet nicht für Fehlfunktionen, Beschädigungen, Inkompatibilitäten oder sonstige Schäden, die von dieser Software ausgehen oder sonst verursacht werden. Sollten während der Installation oder Benutzung der Software Probleme auftreten, wenden Sie sich bitte an den jeweiligen Hersteller." 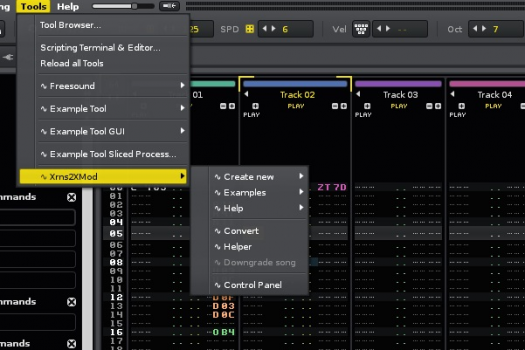 Redux is a powerful, yet affordable sampler and sequencer in the VST/AU format. Interpolate velocity, leaving non-notes-places free? Daphne and Celestes latest album was made in Renoise! What happened to the community download page?